Jovana Popovic is a 1.72m versatile serbian guard born in 1990 who has been MVP, Champion and diferent times named in the Adriatic League First Team and who has also Euroleague and Eurocup experience. Jovana Popovic had her appearance in the european radar during the U16 European Championship played in 2007 and in which she averaged 13.4 points, 3.1 rebounds and 2 assists per game with Serbia. Later, she also played the U20 European Championship 2009 and the U20 European Championship 2010 in which she averaged 8.4 points, 3.6 rebounds and 4 assists per game, being also the second best passer in the championship. Jovana Popovic signed with Vojvodina in the 2011/12 season and she averaged 14.3 points, 3.4 rebounds and 2.9 assists in Adriatic League and 11.3 points and 4 rebounds per game in Serbian League. Jovana extended with Vojvodina during the 2012/13 season and she averaged 19.7 points and 5.7 asissts in Serbian League. After averaging 20.1 points, 3.9 rebounds and 4.4 assists in Serbian League and 13 points, 2.8 rebounds and 3.5 asissts in Adriatic League in the first part of the season with Vojvodina, Jovana finished the 2013/14 season with Partizan and averaged with them 20.2 points, 4.3 rebounds and 5.5 assists in Serbian League. Jovana Popovic signed with Buducnost in the 2014/15 season and she averaged 15.6 points, 2.9 rebounds and 4.9 assists per game in Adriatic League, being the best passer in the competition. 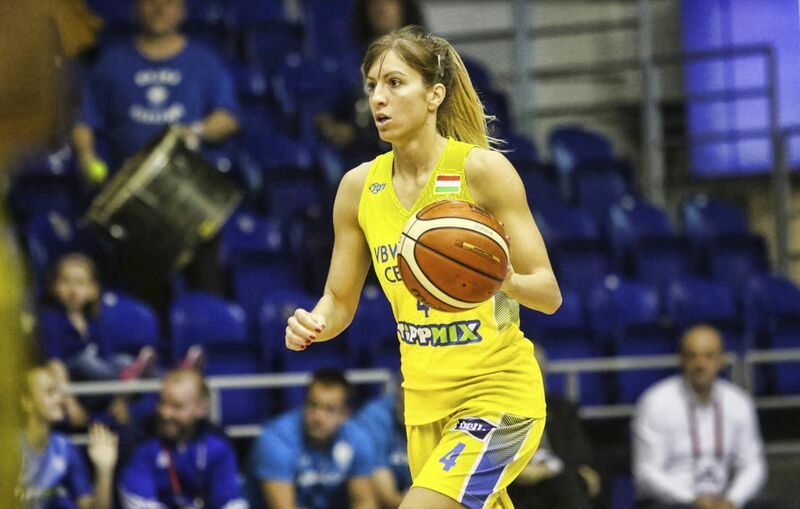 Jovana extended with Buducnost for the 2015/16 season and she averaged 15.6 points, 3.1 rebounds and 5. 4 assists per game, won the Adriatic League was also in the competition´s first team. Both seasons, Jovana also won the Montenegrian League. In the 2016/17 season, Jovana Popovic had her debut in Euroleague with Hatay and she averaged 4.1 points and 2.1 rebounds in 16 minutes in this competition, shining with 16 points and +17 efficiency against Perfumerías Avenida and with 13 points and +15 efficiency against Sopron. In Turkish League, Jovana Popovic averaged 7.6 points, 2.9 rebounds and 2.5 assists in 23 minutes per game, having her best game against Mersin with 22 points and +21 efficiency. In the 2017/18 season, Jovana Popovic signed in Hungary with Cegledi and she averaged 12.6 points, 2.8 rebounds and 3.3 assists in 23 minutes per game in Hungarian League and 8.5 points, 2.2 rebounds and 2.3 assists in 19 minutes per game in the Eurocup. In the 2018/19 season, Jovana Popovic re-signed with Cegledi.